College football season starts next week. Are you as excited as I am? I am looking forward to watching College Game Day on Saturday morning and football games all day and night. 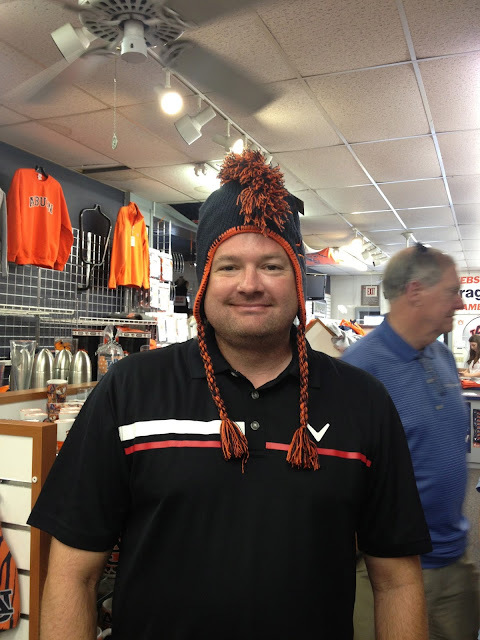 I am also really looking forward to tailgating! 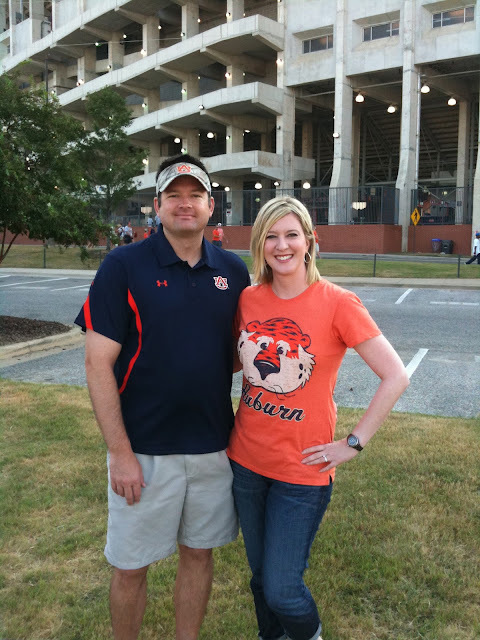 If you follow the blog, you know that I am an Auburn fan. 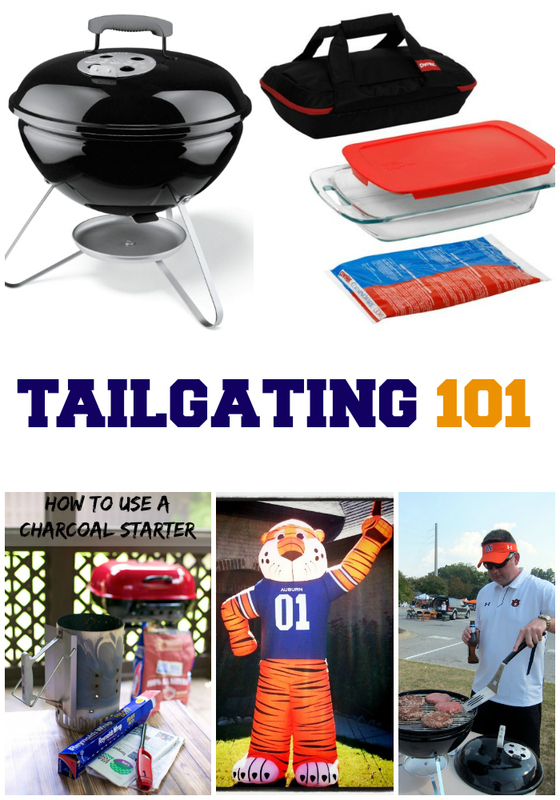 Today I wanted to share a few of my tailgating tips with you! I am going to share my favorite places to eat before, during or after the game. 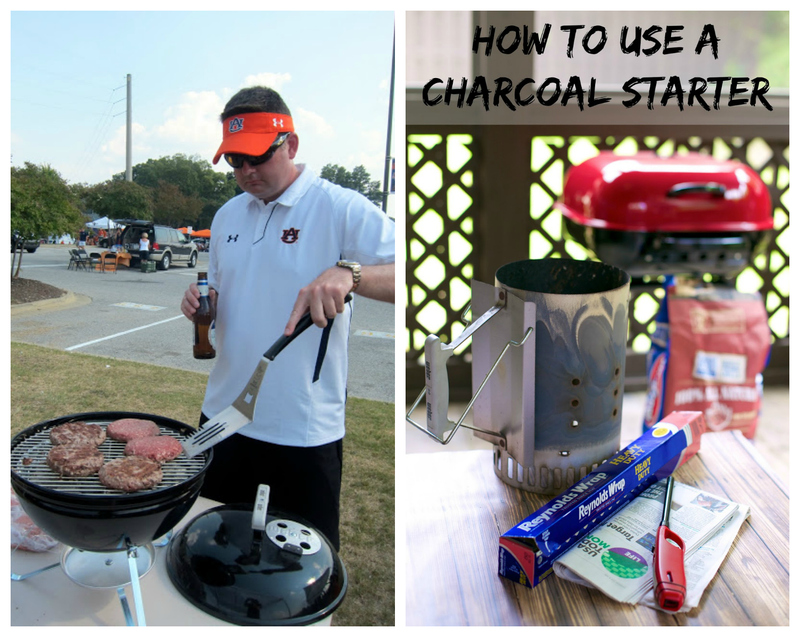 I am also going to share with you some of our best tailgating tips! 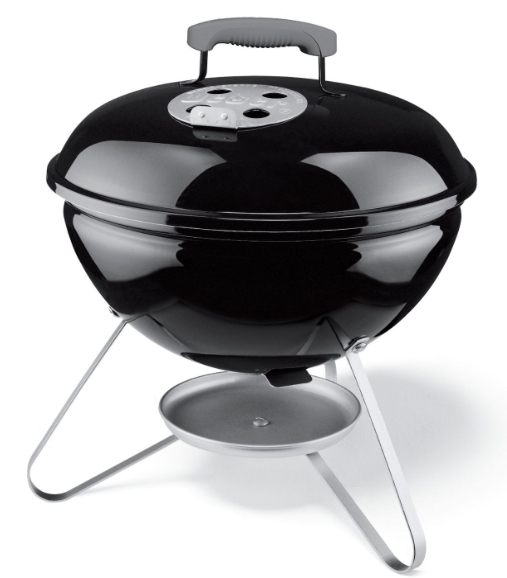 What to take to the parking lot, how to keep your food warm, and how to use the grill. 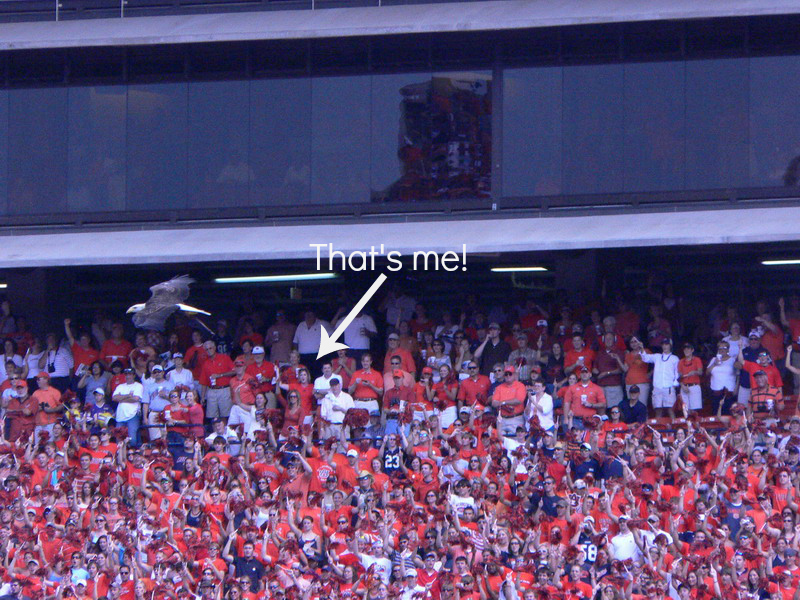 I love game day in Auburn! Here are some tips if you plan on coming to a game this season. 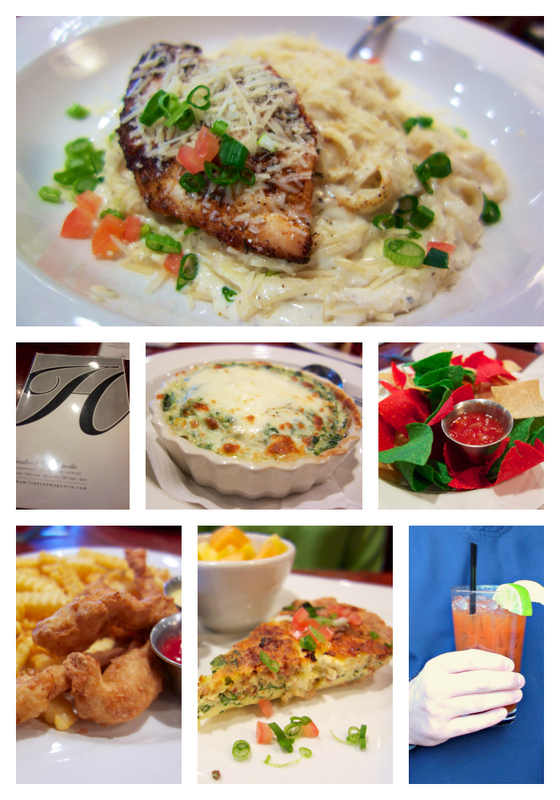 Looking for a great place to grab a bite to eat before, during or after the game? Check out Niffer's. It was one of my favorite spots to hang out in college. 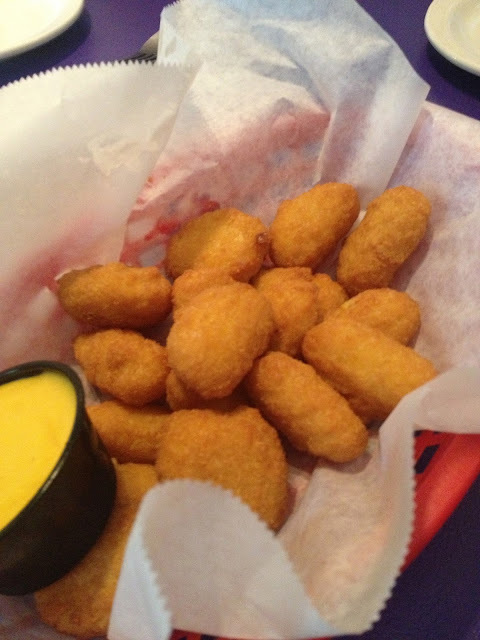 Don't miss the corn nuggets. They are so good. I love them dipped in the honey mustard. 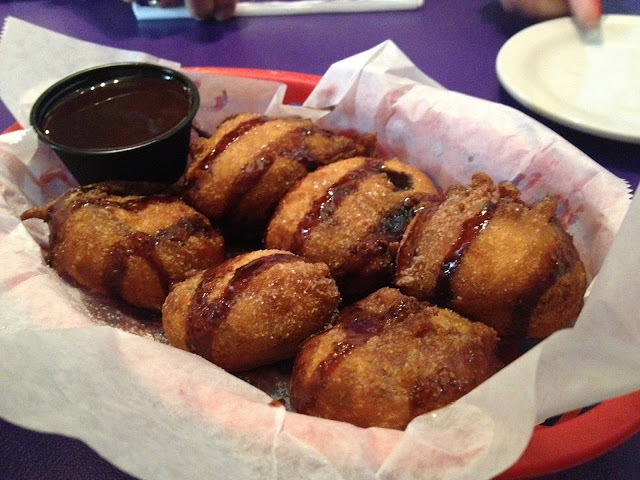 Save room for dessert - they have fried oreos! O-M-G! 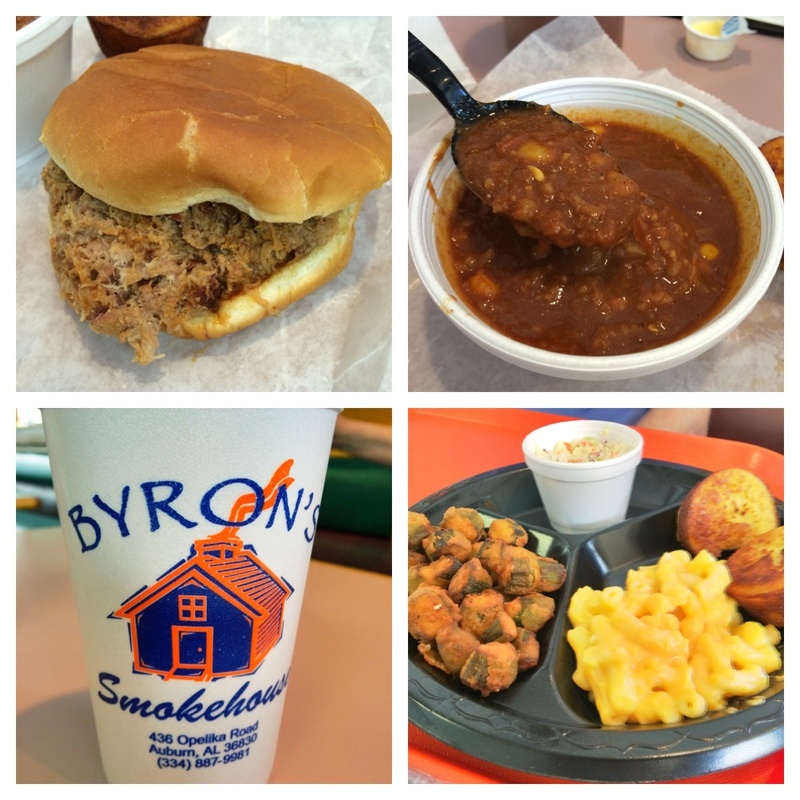 My favorite BBQ joint is Byron's. I love, love, love their brunswick stew. Their chipped BBQ sandwich with hot sauce if my favorite! Chicken Legs swears by the pecan pie. You really can't go wrong with anything on the menu. Hamilton's on Magnolia is hands down my favorite restaurant in Auburn or anywhere really. I love everything on the menu. If you go for lunch - the chicken fingers and burger are not to be missed! Chicken Legs says they have the best Bloody Mary anywhere! We like to tailgate with our friends and then walk over to Hamilton's to watch the game. It is so much fun to be downtown for the games. 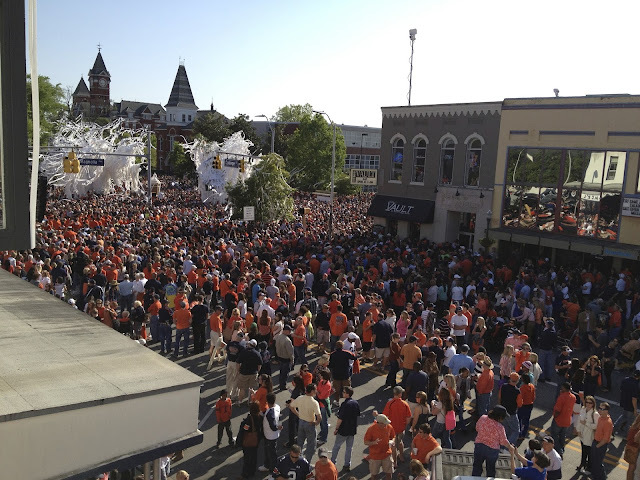 Now that you have eaten, it is time to explore downtown Auburn before the game. Toomer's Drug is a must stop. The lemonade is the signature drink in town. It has been a favorite of mine since I was a kid. Do a little shopping at the shops on College Street. 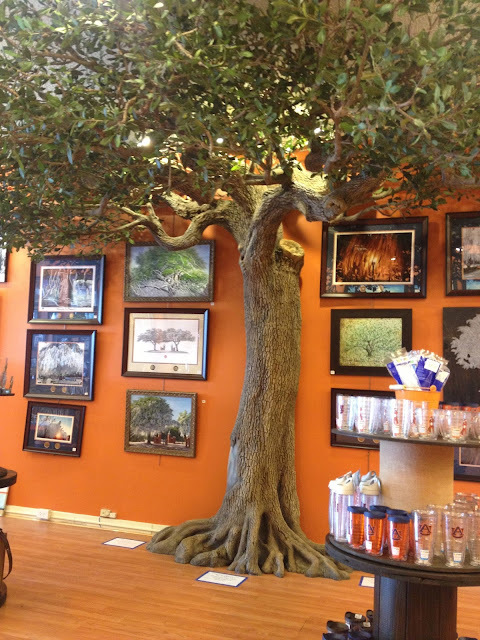 Don't miss the Toomer's Oak replica in Auburn Art. 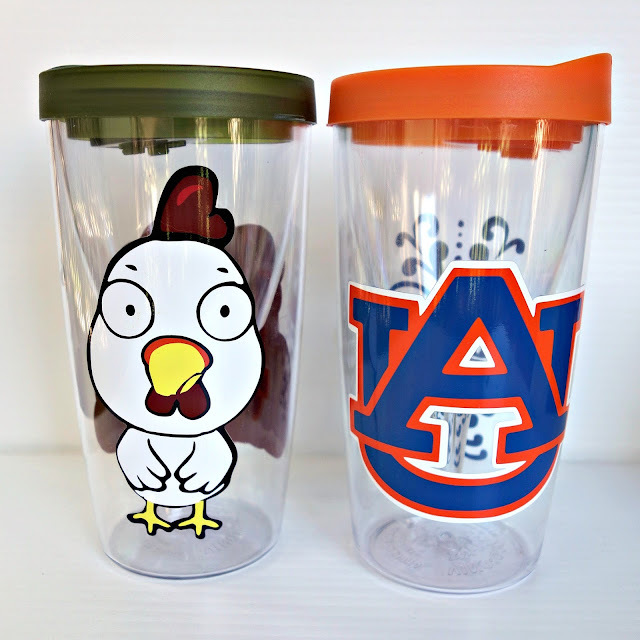 Auburn Art also has all the cute plates I use for my football posts. 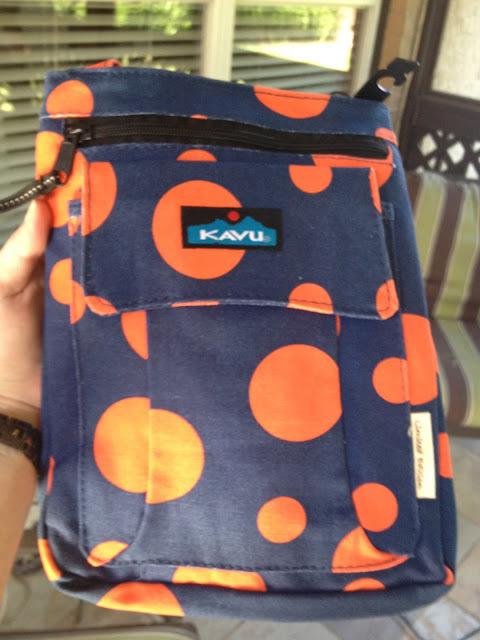 I found this cute purse downtown. It is perfect for game day! Head over to Tigers Rags and pick up your game day shirt. Chicken Legs wanted this hat. I told him he should hold off until winter. LOL! 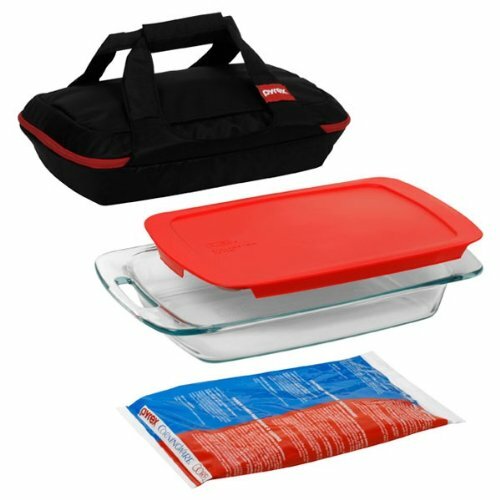 Before you head out to the parking spot, don't forget to pack the tailgating essentials. Now that we are all packed and ready to party, it's time to head to the parking lot! Tailgating is my favorite part of football! I fancy myself a tailgating expert. 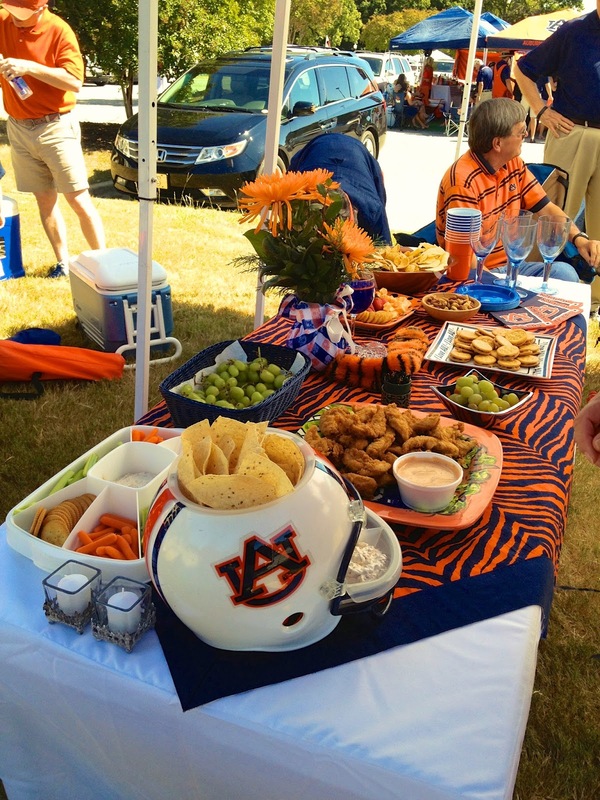 I grew up in Auburn, and every Saturday during the Fall was spent tailgating with friends. We love to grill out in the parking lot. I am really looking forward to using wine glasses from Robin at Blueberry Hill Handmade! Robin is such a talented lady! Check out her Facebook Page for custom orders. After the tailgate, head inside the stadium. Make sure you get inside in time for the pre-game show. You don't want to miss the eagle flight. It is SO cool! The eagle flies about 20 minutes before kickoff. 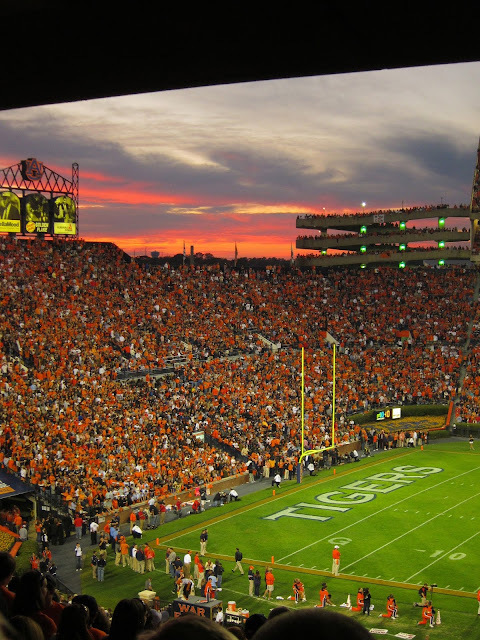 After the game head over to Toomer's and celebrate the win! That is game day in Auburn. I hope this guide helps if you are coming to a game. We want to make sure you enjoy your visit! I am SO ready for football season to start next week! I can't wait to see all of our friends and family. I also can't wait to eat all the delicious tailgating food!! Make sure to come back to Plain Chicken every Friday for a new tailgating recipe! I, too, was born and raised in Auburn and chose not to leave!!! I agree with every, single point you make and Byron's and Hamilton's and Niffer's all ROCK!!! I'll be downtown for every game and heading over to JHS at excatly one hour before kickoff!! WAR EAGLE!!!! The shot of hubby grilling burgers with a spatula in one hand and beer in the other is a classic. If WVU or UT don't show a lot of improvement this year. 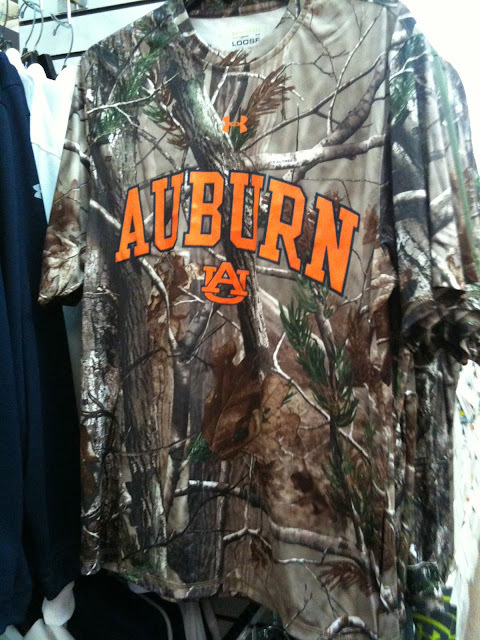 I think I'll become an Auburn fan - I've always liked the name. 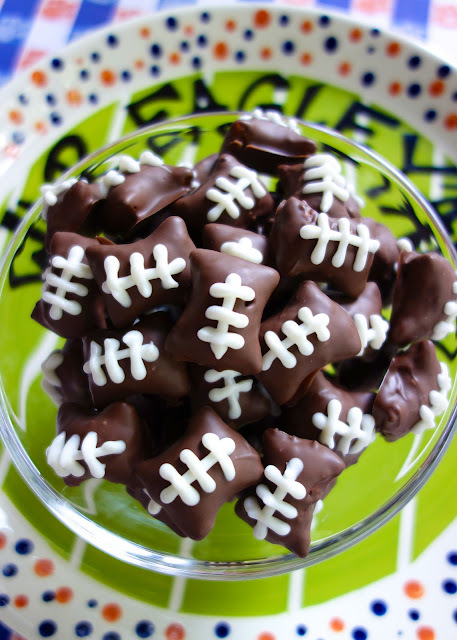 I love your Football Food Friday posts...isn't college football season the best?! I don't really care about UT but we sure enjoy tailgating down there with our son. Great times. War Eagle! You hit all the great spots in Auburn. Auburn just has a special air about it, better than any other campus!